You may have heard it. It’s everywhere. It’s playing on the radio, on TV ads, in the stores, and even at the dentist’s office. 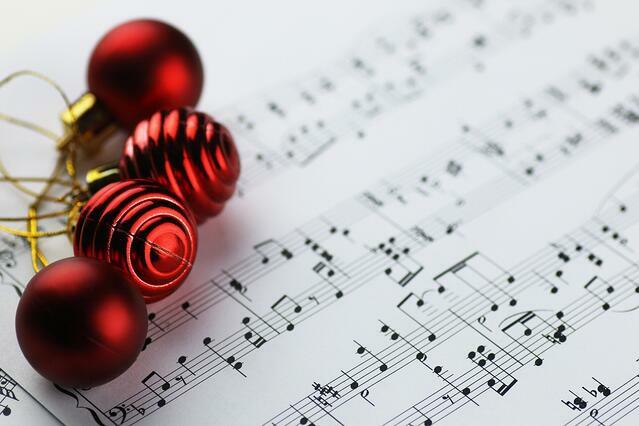 From the festive jingle of bells to the smooth saxophone interludes, ‘tis the season for Christmas music. While familiar tunes do stir my holiday spirit, I feel that one particular song needs a reality check. Consider this verse from the song “The Twelve Days of Christmas." Even if you're the hunting/outdoorsy type, just say “no” to gifts of fowl. Swans, geese, hens, doves, even the partridge are most likely not allowed in military housing. Also, you can bet I will need eight maids doing more than milking if I have all these people dancing, leaping, and drumming around the house. The gift of golden rings may be a win, as long they are hypoallergenic. Let’s consider for a moment a rewrite of the lyrics to “The Twelve Days of Christmas” to fit military life. a trip to the thrift store where I magically find Polish pottery. Orders! This long-awaited paperwork defines where our next assignment may lead. a premium property listing on MilitaryByOwner, making PCS easy-as-can-be. moving boxes actually packed well and labeled correctly. a chance to Facetime or Skype with steady connectivity. all appliances around the house working, trouble-free! a medical referral that fits within what Tricare may decree. a rock-star parking space, on payday, at the Commissary. a favorite coffeehouse serving up a discount with a military ID. ample leave to spend with friends and family. gifts from my in-laws with a handy “return” policy! All of this is a pretty tall order for my Christmas wish list, but I think I’ve remained on Santa’s “nice” list? Guess we’ll wait and see. No matter what tune may be stuck in your head this holiday season, here’s hoping the celebrations you share with your military family and friends are memorable for years to come!